You can look at this as the opportunity of a lifetime or you can look at this as one of the nervous experiences you’ll ever face in your professional career. 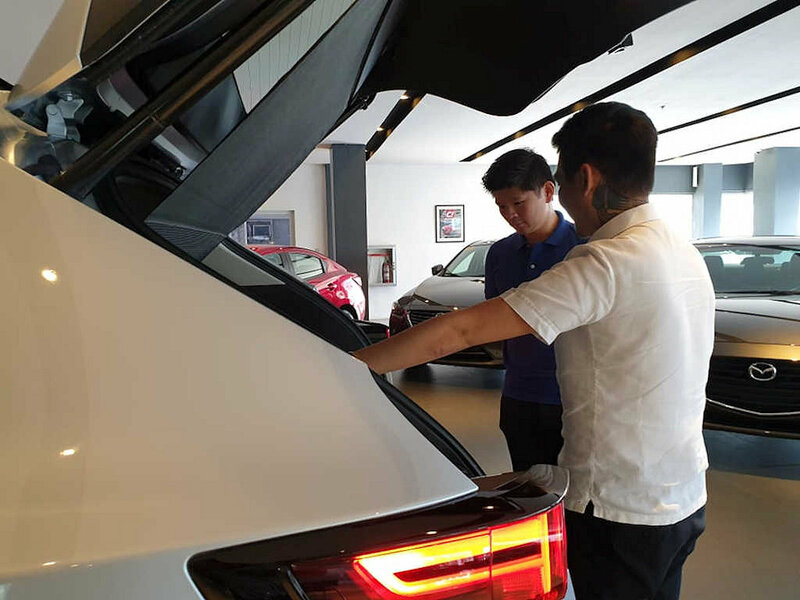 Giving a client the “walk-around” of his brand-new car is something sales professional do on a day-to-day basis, but it’s not everyday you present one in front of a motoring journalist with both the company’s president and marketing manager in tow. Ralph Jayson Huete probably thought this was just going to be any regular Wednesday: clock in, sell a couple of cars, clock out, and go home. Today though, there’s something amiss with one Sonic Silver CX-5. 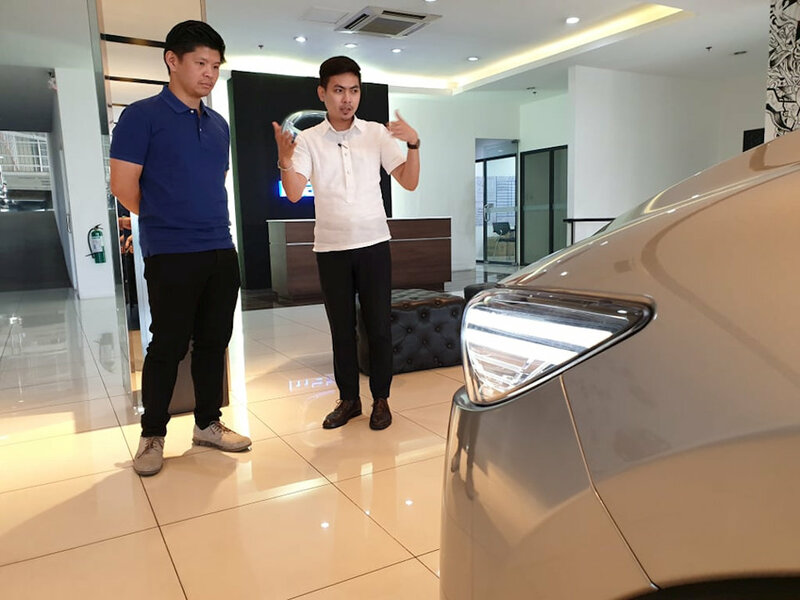 I was his client and with me were two of Bermaz Auto Philippines’s officers: Mikko David and Steven Tan; it didn’t help matters that Paolo Borromeo, Mazda Makati’s dealer principal also dropped by. Having spent enough seat time with the CX-5, I could have easily dispensed Mr. Huete’s spiel and just drive straight home. But I wanted to act as sort of a mystery shopper; I wanted him to tell me the various features of the car that I just bought. I wanted him to write the “Preface” to the CX-5 story. And my goodness, was Ralph so nervous. I swore, his voice shook each time Mikko snapped a photo (so much for being a mystery shopper, I thought). During the walk-around of the exterior, Ralph was clearly nervous, trying to throw buzzwords, probably to impress the Bermaz officers. 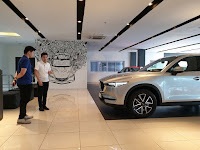 He looked slightly unsure of what he was doing, and yet, he successfully pointed out all the right features of the CX-5—the KODO styling, the 19-inch wheels, and all. He even explained how the proximity key, push-button start-stop button, and power tailgate worked—something that may confuse some new owners. As we got inside, Ralph was finding his rhythm. Perhaps it was the safety of the CX-5’s cocooning space that calmed his nerves, but regardless, he cut out marketing speak and focused on understandable language. Since I got the car already, he didn’t need to sell it to me—he didn’t need to point out the premium fit and finish, and what have you. Instead, his walkthrough focused on the operation aspect. It won’t replace reading through the owner’s manual (something every new car owner, I think should do), but at least it gave new owners a bit more confidence before driving out. Ralph focused on things like the operation of the Mazda Connect, climate control, power seats, and all. 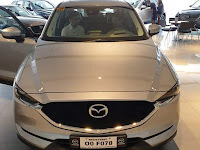 Driving off Mazda Makati, I have a renewed appreciation for the hard work that people like Ralph Huete do on a daily basis. Granted I’m probably one of the easiest customers he’s ever encountered (and the one with the least questions), but encounters with people like him serve as a reminder that they’re the first point of contact between car brand and car owner. He was understandably nervous on this particular occasion, but if this is a glimpse of how Mazda trains their sales professionals, then they’re well on their way to providing a great ownership experience. This is one of the few salesmen that know their stuff. 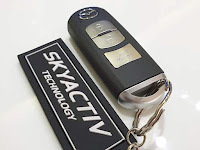 From my experience in window shopping for new vehicles I noticed that some salesmen don't know what they're talking about. I seem to know more of their product than they do. They lack due diligence in studying their products and its competition.